Last week I finally admitted that my wee little firstborn who is 6 inches taller than me and many pounds heavier (thankfully) is growing up. So I took the huge step of removing all the picture books from his bookcase. I could get all sappy right now and tell you that picking up each one of them and remembering his fat little hands with their indented knuckles holding them was one of the hardest things I've ever done...y'know, cleaning-wise. We read to him every night. Farmer Duck. Cows Can't Fly. 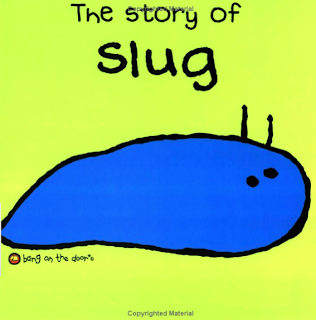 Slug. THE CLASSICS. So moving them into a box was more than just admitting he is closer to adulthood than babyhood. It was saying goodbye to some of the most awesome rhymes ever. 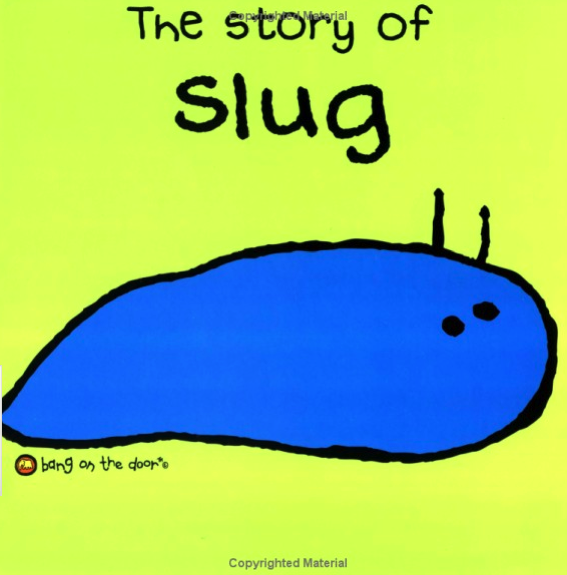 She didn't know that Slug was just a hungry little dude." And it was heavy. Like really heavy, man. They're books, people. Not like when mommies of today just download Bennett Cerf onto their iPads. Is Bennett Cerf even available on iPads? Because it should be! Seriously, if your child doesn't know what is big and red and eats rocks, you are not really a very good parent. Just saying. Anyway, I spent a couple of days being all nostalgic. I'd go look at his new teen-agery version of a bookcase with it's clever novels and dark comic books and middle school yearbooks and wish that just for a minute, I could have that boy that's shorter than me back. Then, I got in my car. That smelled like three day old milk left in a sippy cup. Turns out teenager snowboard boot has exactly the same chemical makeup as curdled dairy product in plastic. And I longed for short people no more. Everything that's wrong in the world. A special LOVE edition of LGBG. I have spent the last 48 hours desperately looking for a letter sent home by a teacher several years ago regarding Valentine's Day so that I could tell the internet about it... I've instead found my birth certificate, my sister's 10th grade report card and an overdue bill from the milk man so I will have to recreate it here for you from memory. Disclaimer: The teacher was a lovely woman in every way and a perfectly wonderful, engaging, charming educator. Disclaimer disclaimer: But obviously had issues. Disclaimer disclaimer disclaimer: Also, she looks exactly like a waitress at the pub around the corner so every time I go get a beer I remember this story. As Valentine's Day approaches, I would like you all to talk to your children about being especially careful of other's feelings. 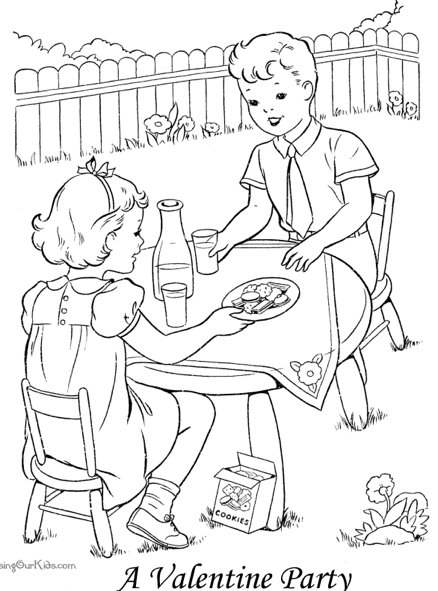 Many children dream about Valentine's Day being a day to express their affection for someone special. Sadly though, other children use it as an opportunity for cruelty! They might purposely avoid giving a Valentine to someone...or even...send a Valentine with a negative message. I speak from experience. 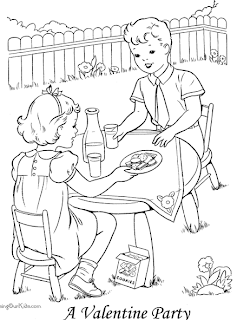 I remember a particularly horrible Valentine's Day in my own elementary school years when one student had a "crush" on another and when her feelings were not returned by the object of her affection she was teased mercilessly and cried on the playground for an entire recess. For that reason, please have your child bring enough valentines for the entire class, and do not put a "to" name on them OR a "from" name. This way, everyone will get equal attention from all members of the class and no feelings will be hurt. And that right there is why the Japanese are getting ahead. I don't actually know what that means. But I do know that in 1977 I would've been particularly thankful to have a teacher like this, because instead of an anonymous Holly Hobbie or Mickey Mouse card, I got a creepy big lumpy envelope from a chubby freckled kid. Inside was the kind of card you'd buy your grandmother, all covered in plastic with a photograph of flowers and some gooey poem about love. On the interior, he'd taped an Avon necklace. My stomach hurt for three weeks and I almost quit school. But I didn't make him cry on the playground. I don't actually know what that means either.